Kara (Agenzia Fides) - Why is corruption rampant in Africa? "This is a phenomenon that goes beyond the problem linked to the extreme poverty that afflicts our Africa", says Father Donald Zagore of the Society of African Missions to Agenzia Fides, in the margins of the 31st African Union Summit, which concluded recently in Nouakchott, Mauritania, and focused on the phenomenon of corruption in the Continent. "There is a combination of factors, among which greed and irresponsibility, the mediocrity of our administrations, which have made corruption a cultural and civilization phenomenon. The evil is so deeply rooted that today it has become part of the action of the African man", says the missionary. "Today it is urgent to fight decisively - he continues - against this culture and this civilization. We must develop an entire project to deconstruct this culture of corruption, to rebuild a new African civilization less inclined to the unbridled pursuit of profit, but aimed at promoting the culture of excellence, duty and responsibility. We need a purification of mentality by placing each social group in front of its responsibilities". According to Fr. Zagore, "combating corruption consists in a real project of education and re-education. It is necessary to educate and re-educate the African populations accompanying this educational policy with coercive measures where necessary. As long as we continue to neglect the cultural and civil dimension of corruption on the African continent, our struggle will be in vain". 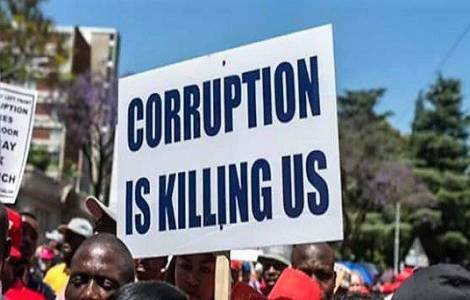 According to the Transparency International report, published on February 21, 2018, in 2017 the African continent was reconfirmed in first place for the level of perceived corruption. The study ranks 180 countries according to a Perceived Corruption Index (CPI) in the public sector. The index emphasizes that most countries are not making progress.